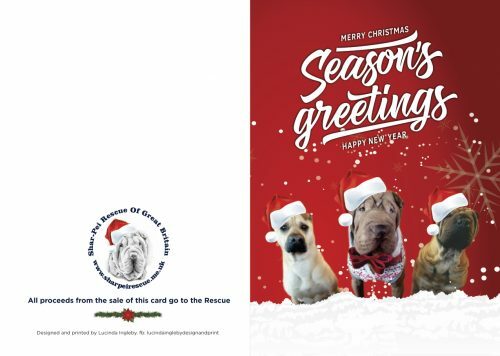 You can help a Shar Pei in need by buying your 2018 Christmas cards from us. Our card ‘models’ are Dasha (left), Bear (centre) and Rufin (right), all from our Rescue. This cheeky trio loves nothing more than to play and run on the beach with their new forever family. 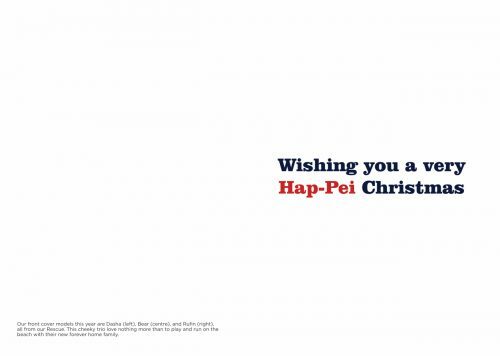 For only £6.50, you can get a pack of five cards + envelopes. Free shipping in the United Kingdom. Order as many packs as you like. The dogs will love you for it! Thank you for your support.